In a year that was packed with new camera releases, selecting the best digital SLR of 2009 has less to do with features than you might expect. The reason is a simple one: today, cameras are pretty hard to tell apart on features alone. This is not to say that all cameras are identical - they are different from each other based on the group of features that they offer rather than one unique defining characteristic. But comparing 5 different cameras that all have essentially the group of features can be a difficult task. So for 2009, instead of selecting the most powerful camera, or the fastest, or the one with the highest ISO setting, I asked myself: "which of these cameras represents the best value for money?" And that's how I finally made up my mind. In 2009, manufacturers recognized that many people are making the switch from point-and-shoot compacts to digital SLRs. As such, fewer of these cameras are geared for pro and semi-pro photograhers — most are aimed squarely at the consumer market. The digital SLRs of 2009 include plenty of features - high continuous speeds, fast autofocus, live view, video capture - at prices that are very reasonable (at least for DSLR cameras). January Olympus E-30 The first Olympus DSLR to include "art filters" that let you apply effects to your images without a computer. April Nikon D5000 The second Nikon DSLR with a video mode and the first with a flip and twist (articulated) LCD screen. Panasonic DMC-GH1 The second micro 4/3rds from Panasonic captures HD video, and is one of the first cameras to autofocus during video capture. May Canon Rebel T1i (500D) The first Canon Rebel with a video mode. Olympus E-620 An entry-level model, the E-620 includes a live view LCD screen that flips out from the camera body. July Olympus E-P1 The first Olympus micro 4/3rds digital camera - extremely compact and light. Pentax K-7 A camera for advanced amateurs with built-in image stabilization, weatherproof seals and a new video mode. Sony DSLR-A330 The 10 megapixel A330 has an LCD screen that angles out from the camera body. Sony DSLR-A380 The A380 is the 14 megapixel sibling of the A330. September Nikon D3000 Basic inexpensive entry-level model without live view or a video mode. Nikon D300s A sophisticated camera for advanced amateurs (prosumers) with extremely fast performance and a video mode. Sony DSLR-A850 A 24 megapixel full frame camera. Canon 7D Very fast speed is paired with a full high definition (1080p) video mode. October Sony DSLR-A500 The A500 packs in a lot of features: built-in stabilization, high continuous speed and an in-camera High Dynamic Range (HDR) mode. Sony DSLR-A550 The 14 megapixel version of the A500 also includes a faster continuous speed. 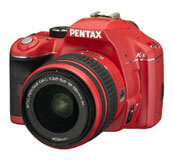 Pentax K-x Built-in image stabilization, video mode and dust control all in a small lightweight frame. December Olympus E-P2 Similar to the E-P1, offering some minor upgrades. 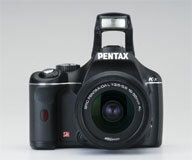 My pick for the best digital SLR of 2009 is the Pentax K-x. No, it's not the most powerful camera of the available options, nor does it come with an abundance of brand-name recognition. But what the Pentax K-x does have going for it is sheer value. It's the only camera in its price range to include both built-in image stabilization AND video capture. These two features alone would make the camera quite versatile. But the good news is that it has even more to offer. 12 megapixels 12 is a good number for megapixels - plenty to make nice big prints but no so much that you'll be forced to get a new computer to store your photos. 11 autofocus points Borrowing the AF system from the Pentax K-7, the autofocus in the K-x is faster than in previous budget Pentax models. 4.7 photos per second This is a pretty fast continous rate - unless you constantly shoot action, this will be plenty fast. ISO 100 - 12800 While noise can become a problem at the highest ISO settings, the K-x offers plenty of range should you ever need it. HD 720p video Capture High Definition video that you can play back on any HDTV or transfer to a computer for viewing. No other DSLR with a similar price has this option. Built-in stabilization Get sharper images in dim light when you're hand-holding the camera...with every lens that's compatible with the K-x. Small and light With the exception of the Micro 4/3rds cameras like the Olympus E-P1 and Panasonic DMC-GH1, the K-x is one of the smallest and lightest DSLRs you can get. Lens Compatibility You can use just about any Pentax lens you want with the K-x (even very old ones) although some may require an additional adapter. Runs on AA batteries All other DSLRs run on special rechargeable batteries, which makes it tough for travelers who don't always have access to power outlets. Body colors If black just doesn't speak to you, then consider this: the K-x body is also available in white, red and navy blue. In the end, it's not all the features I just listed that makes the Pentax K-x the best DSLR of 2009 - it's how little all these features cost. Any other camera with this much functionality would probably retail between $800 and $1,000 USD. But the price tag for a Pentax K-x with lens is less than $600 USD. If this still sounds like a lot of money to you (and it certainly is) consider this: my price cutoff for what I call "bargain cameras" - ones that have very limited feature sets - is $600 USD. For the same amount of money, you get all that the K-x has to offer. Portability? Check. Video capture? Check. Stabilization? Check. Speed? Check. There should be very few photo opportunities that will come up that the K-x can't handle: from portraits to landscapes, action to still life, this camera has it all pretty well covered. The one thing it lacks? The same brand-name recognition that you get with Canon and Nikon. But consider this: in analysis that I have done for digital SLR camera ratings and reviews, Pentax often comes out on top. True, there are less reviews overall for Pentax than there are for the other brands but one thing appears true: Pentax enthusiasts LOVE their cameras. If you're looking for to get a lot of value for the money that you spend on a new DSLR, then the Pentax K-x should definitely be on the list of cameras that you consider. 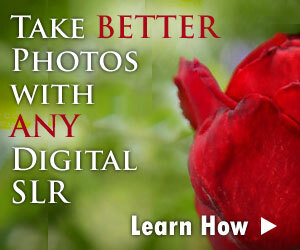 Learn More About Digital SLR Cameras - Free! Your privacy is respected and your information is NEVER shared with anyone. What Is a Digital SLR?